Talk about a ‘Unicorn Project’ if there ever was one. Jon Olsson, the Swedish free-skier and alpine ski race, has made no bones about his love for finely tuned supercars, which includes his own stable of machines like the Nissan R35 GT-R and the Lamborghini Murciélago LP670-4 SuperVeloce. Now, Olsson is collaborating with ADV.1 wheels to create and develop the “ultimate” Ultima GTR project. Details on the car are still not known with the exception of these jaw-dropping renderings, but if you know what the Ultima GTR is capable of, then you know that this car project is going to be a one sweet ride. Fast, powerful, and road-legal, the Ultima GTR is one of the fastest vehicles on the planet, no questions asked. It’s got a Chevrolet-sourced 6.3-liter V8 engine that produces 543 horsepower – the chassis, however, can take in engines that have an output of well over 1,000 horsepower – and 528 lb/ft of torque. The car also weighs a little less than 1,000 kilos, thanks in large part to a number of lightweight materials, laminated glass, and a carbon fiber rear wing. According to ADV, the project is well on its way to developing so we’re going to stay tuned for all the important updates. For a car that has the stature of the Ultima GTR, we highly suggest that you do the same. UPDATE 05/24/11: After a few months of lying under the sheets in constant testing and development, Jon Olsson’s Ultima GTR, which has since been christened the "Rebellion R1k", finally made its first appearance under the sun in Stockholm, Sweden. In this video captured by Olsson and his team, the Swedish ski racer takes his newly-built baby out for a nice test run along the streets of Stockholm while he prepares for the 2011 Gumball run from London to Monaco. Check out the look and sound of Olsson’s Rebellion Rk1 in all its fiery red glory. That is what a Chevrolet engine can do for a car. To be specific, the engine they used is from Chevrolet Corvette, which once became the fastest car in the world. It is beaten by Bugatti and Ford and now Ultima wanted to take that place. Too bad this car is gas guzzler! However, the performance of this car is drastically awesome. I want to see a race between the Bugatti as the fastest car in the world and Ultima GTR, the fastest regal road car, I wonder who will win. Fantastic! 1000 hp for a 1000 lbs. Car?That’s extremely incredible. However, the bad side is that, this car is gas guzzler!haha Really useless, who who’d consider to buy this car? 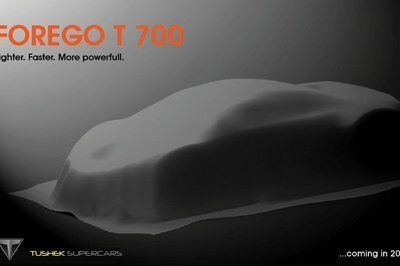 If they want to create such a powerful car, make it the best. A rich guy who plan to make an ultimate GTR, I think that’s quite impressive. Sometimes, I really envy these guys with so much money to waste. Imagine that, this project is certainly not going to be cheap, yet they managed to pull it off. I was really surprised at how this car turned out. At first I thought this one would just be another eccentric project. But now, I really am loving the results here. Yeah, that’s what I really love about them. They really know how to beef up the car that they are working on. Just tale a look at all the features that they have installed on this one. Well now, that’s really the best way to make use of the long development time. 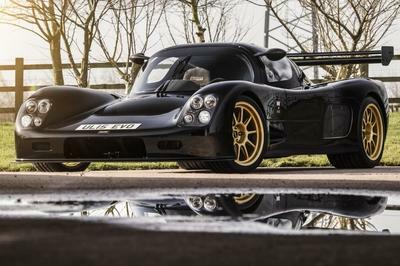 Just take a look at what they were able to do with the Ultima GTR. I must say that this one is probably one of the most radical custom projects that I have seen lately. I am actually regularly following the updates on this one since I really like it a lot. Rinspeed is a Swiss manufacturer and though I think their platform is not so unique still I can see their originality just like the sQuba, the first car that can dive under water! They have the talent but they need to build reliable car. hmm. I don’t think that this would be a great start for the Swiss car industry..Swiss has been trying to build their own name in the car industry. 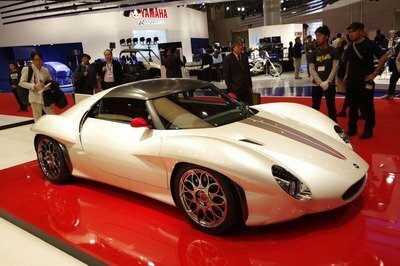 I have noticed that they been producing car with the help of other car manufacturer just like in Nissan. It would be better if they would come up with their own. So what’s the update on this one? 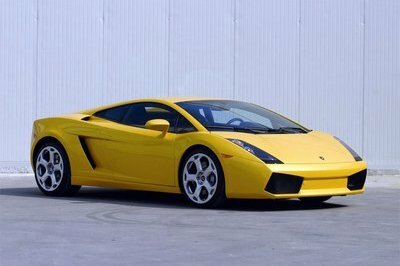 When I first heard about the project, I was actually very interested, since it is only one of a few times that someone builds his own supercar. I’ve heard that they do such record-breaking activities to test the Ultima GTR. For that activity they used GTR640, and as a result they had the record of Fastest 0-100 mph (160km/h) time: 5:3 seconds. They break a total of 6 records. The result of the very extensive research and development that last for about 20years, The Ultima GtR really must called the super car. And no wonder the Ultima Sports Ltd. in England, takes the lead for their creation. Dragsters when your daddy was a baby. And it wasn’t until the late 60’s Chaparrals that people began to think G-forces above 1.0 were even "theoretically" possible.